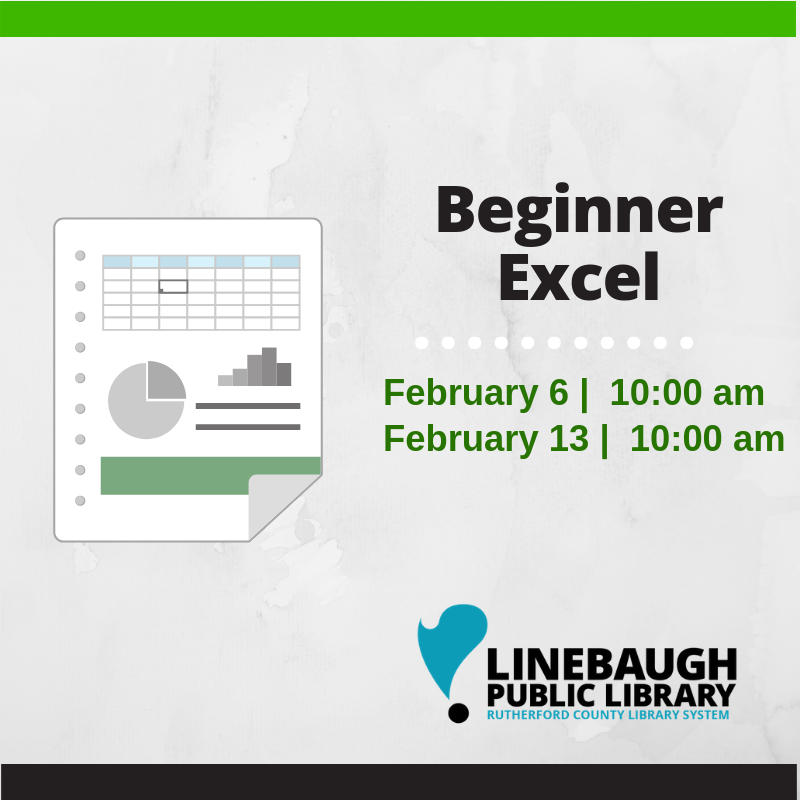 For those just getting started with Microsoft Excel. Come learn the basics of the world's most used spreadsheet software. Two part class: February 6 and 13.